Winding Brook Drainage Corridor Study – KC Engineering and Land Surveying, P.C. The Winding Brook drainage corridor is a 3.5-mile tributary of the Wallkill River in the Town of Wallkill that traverses several residential neighborhoods as well as industrial and commercial zones before converging with the Wallkill River. KC was selected by GOSR and the Town of Wallkill to design a permanent solution for the flooding in the stream system. 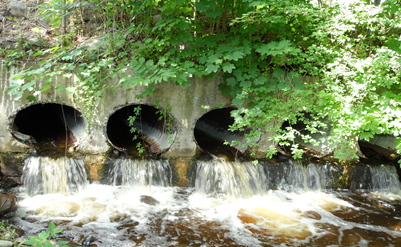 Each culvert was inspected and a detailed study was performed to determine the best solution. The costs for the individual culverts were estimated using standard engineering practices, and a programmatic cost was developed for the entire system that was compliant with GOSR funding for the project and accomplished the requirements of the project.